2018 is right around the corner, and many of us are trying to figure out ways to improve for the New Year! Unfortunately, each year many of us make really “big” resolutions like getting healthy, saving money, or crossing something off our bucket lists. And then, halfway through January, we give up on our resolutions in frustration. The problem usually is the resolution itself, which is too big or ambitious to achieve. Still, laying out goals for the New Year is a great way to lead to positive changes. 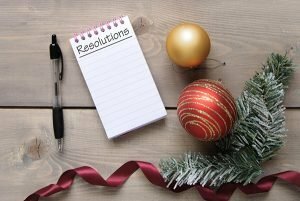 Here at A Plus Dental we would like to point out that dental resolutions can be simple and achievable, and they can also support the success of your other resolutions. Maintaining good oral hygiene supports general health and also protects your wallet from unexpected health expenses. One great dental health improvement in the New Year is to improve your brushing and flossing. Regular teeth cleaning should take place twice a day, for at least two minutes each time, so that harmful bacteria can be removed. The type of toothbrush you used can be as important as cleaning frequency. Your brush should have soft bristles and be used with a toothpaste recommended by your dentist. There is always room for improvement in brushing technique. Be sure to angle the bristles at 45 degrees toward the gum line and move the brush across the teeth. Also, purchase a new toothbrush at least every 4 months or consider an electric toothbrush. One common New Year’s resolution is to get more organized and to use your time more efficiently. A part of getting organized is making plans ahead of time and then actually sticking to those plans. One great thing that you can add to your schedule is your twice-a-year dental exams and cleanings. Even if you are perfect at your in-home dental hygiene, you still need to see your dentist regularly. Your dentist can find problems that you may not see or feel. Most dental problems aren’t painful or visible until they have progressed considerably. Regular dental visits give your dentist a chance to detect early signs of disease and treat them while they are still manageable (and far less expensive). If it’s been awhile since your last appointment, don’t worry, you aren’t alone. Many Australians don’t visit their dentist regularly. But getting organized means making time for taking care of yourself! So, put a reminder in your phone or calendar and on the first week of January, give us a call for an appointment. Everyone knows that what we eat contributes to our overall health. What many people don’t know is that you can improve your oral and general health by eating specific foods. So, when you make your resolution to eat better this year, think of your teeth first. Foods with vitamin C provide the collagen necessary to build teeth and bones, and foods with vitamin D provide calcium that teeth need to rebuild. Reducing sugar intake can also cause improvements in your oral health by starving bacteria of the food they need. Finally, chomp on sugar-free gum after eating. This increases saliva production and washes away excess sugars and bacteria, protecting teeth from decay and dental disease. Replace your toothbrush every 3 to 4 months. Some people find it helpful to change toothbrushes at each change of the season. Consider getting a new toothbrush sooner if you have been sick. If the toothbrush is stored close to other toothbrushes, all toothbrushes might need replacement. If you’re not sure if your toothbrush needs replacement, take a look at the bristles. If they are frayed or worn, they won’t clean teeth as thoroughly. Finally, children often brush more rigorously than adults, consequently they may need their toothbrushes replaced more often. Here’s a resolution that many people make at this time of year. Stop tobacco use immediately. Quit cigarette smoking and smokeless tobacco to improve overall health. All tobacco products harm dental and overall health. Consider free online programs, progress apps, and support groups to help say no. Our goal at A Plus Dental is to provide our Campbelltown area patients with caring, relaxed treatments in a calm and welcoming environment. 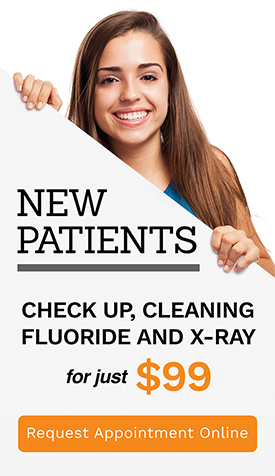 You have taken the next step to a beautiful, healthy smile by choosing A Plus Dental! We will work with you to maximize your dental health for the New Year and the years to follow. Call us at (02) 4627 3833 or simply book your appointment online today.